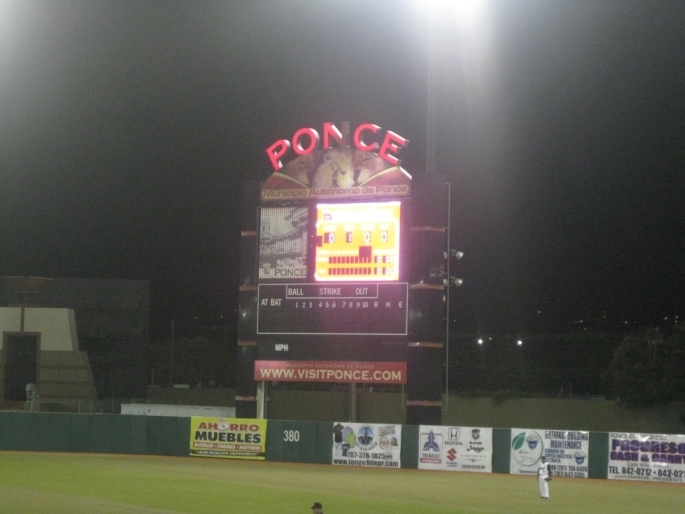 Reviewing the home of the Leones de Poncé of the Puerto Rican Baseball League, Estadio Francisco “Paquito” Montaner. 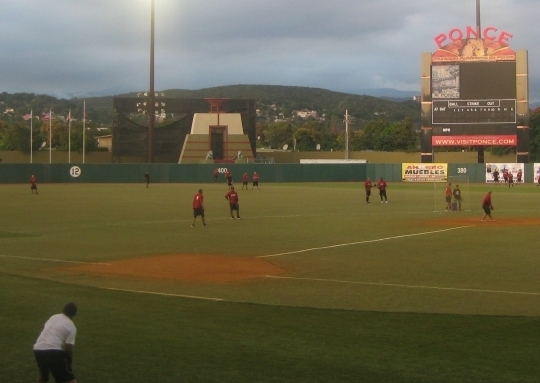 Built in 1949, Estadio Francisco “Paquito” Montaner is a multi-use stadium and home to the Puerto Rican League’s Poncé Leones. 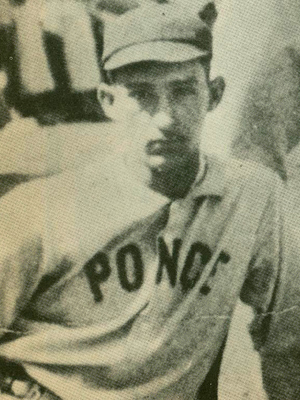 The stadium is named after Fransico “Paquito” Montaner, a Poncé native, and the first pitcher to ever throw a no-hitter in the Puerto Rican League (December 10th, 1911). As the story goes, a young Paquito once struck out 15 hitters in a row. The following game he threw a no-hitter against a barnstorming All-American team made up exclusively of players belonging to Major League teams. Following the game, he was offered a contract to sign with the New York Yankees. 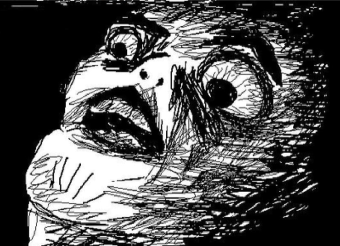 Montaner’s parents refused, feeling Paquito was too young (at the age of 20) to move to the US by himself. He retired in 1923 due to an arm injury and never played in the Major Leagues. He spent his last years in retirement playing dominoes. 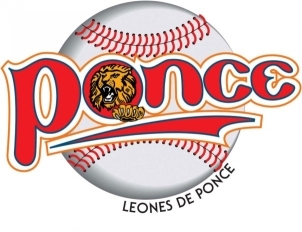 For six decades the ballpark has been a silent witness to great deeds achieved by the sports teams representing the Pearl of the South and most of the leading proponents of Puerto Rican sports which have brought their talent to put on display in Poncé. 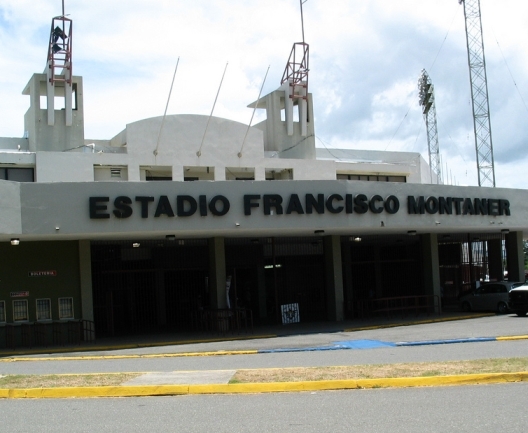 Estadio Francisco Montaner has played host to the Central American and Caribbean Games, the Ibero-American Games, the Athletics Grand Prix, the WWE, boxing, track & field and even basketball. Being a multi-use stadium, Estadio Francisco Montaner employs FieldTurf as its playing surface. 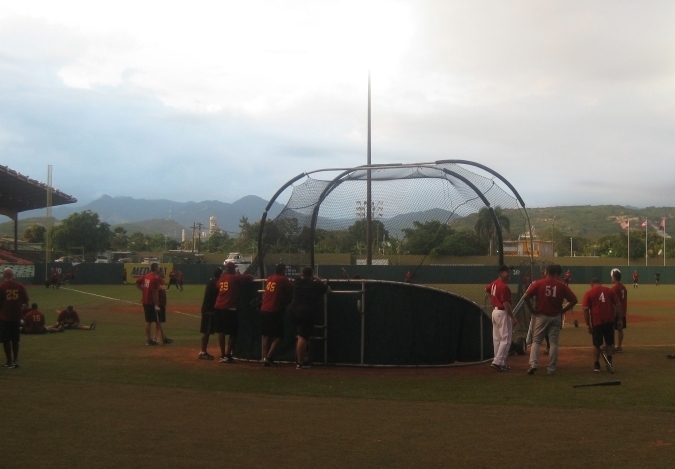 Although it seems like a sin against nature to have turf in a tropical paradise such as Puerto Rico, FieldTurf is much cheaper to maintain (though it becomes extremely hot in the summer). Unlike Estadio Isidoro Garcia, Francisco Montaner has an eye-pleasing view over the outfield fence. Rolling hills, lush forests and mountains make the setting positively picturesque. 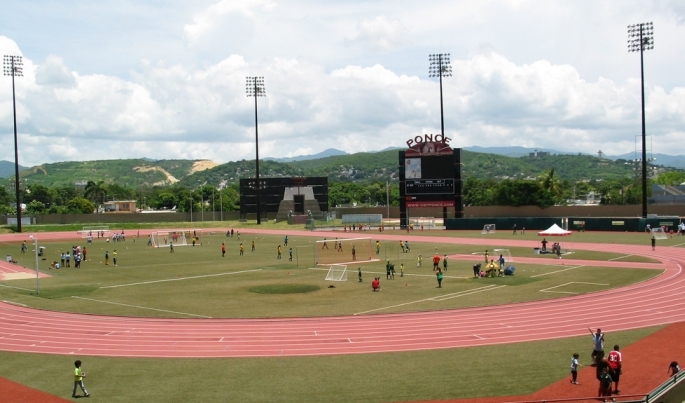 Estadio Francisco Montaner in a Track & Field configuration. Photo courtesy of Roca Ruiz. The 16,000 seat stadium has a few quirks when configured for baseball. The left-field seating shoots far past the outfield wall. Similar to the poor view at Exhibition Stadium, if you are out in left field you are really out in left field! Again, because Montaner is a multi-use stadium, the sightlines can be very poor. Since the seats are not angled toward the field, the further down the foul lines you sit, the more intense the pain in your neck will be following the game. The batter’s eye is hardly even a batter’s eye at all. There is some sort of Taino-indian pyramid structure that stands right in the middle of it, defeating the purpose of having a batter’s eye in the first place. The food options are limited. Popcorn, peanuts and pizza are the most popular fare, but chicken satays and roast pork & tostones on a skewer are also offered. Of course, these skewers are served with mayoketchup. All items are very greasy. Medalla Light is the only beer served here since they are the dominant sponsor of the Poncé Leones. There is a Piña Colada station on the main concourse where the drinks are made fresh with DonQ rum. Like at Estadio Beto Avila, full service bars are available to fans near the home and visitor dugouts. This is good because there is no party zone near the ballpark. There is no team store; a merchandise booth is set up inside the turnstiles. 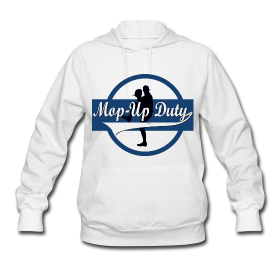 T-shirts in 3 colours, home jerseys and ballcaps can be purchased for a very low price. The scoreboard is a sick joke. It is apparent that the scoreboard is hooked up to someone’s computer running Windows 95 with some sort of freeware baseball scoring software that didn’t function 75% of the time. Useless (although the painting of the 3 lions at the top of the scoreboard is kinda cool). For a 60-year-old stadium, Estadio Francisco Montaner is doing well for itself. It is evident that not a lot of money is available for maintenance, renovations or beautification. In typical Latin-American fashion, a lot is done with very little. 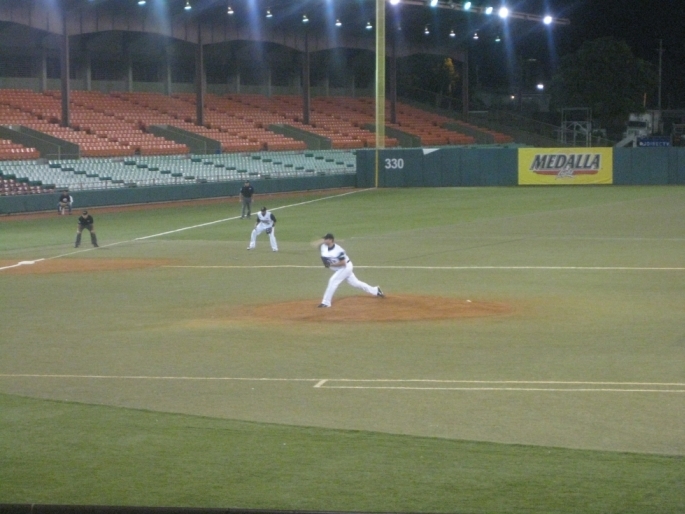 Paquito Montanter is a pleasant place to watch a baseball game, but what really makes the experience worthwhile is the enthusiasm of the Puerto Rican fans.